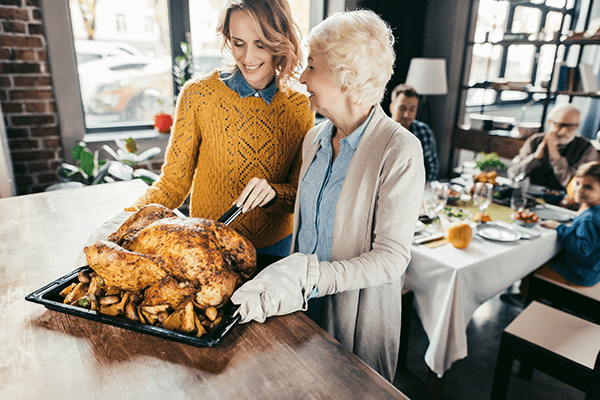 If this is your first year hosting Thanksgiving dinner, learning how to roast a turkey can be a daunting task. 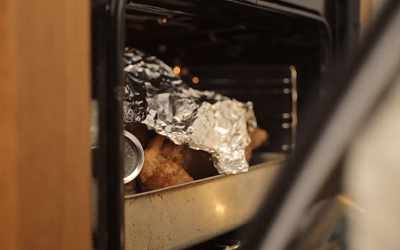 We’ve all heard the horror stories and seen the many YouTube videos of kitchen fires and exploding deep friers, but the truth is that making a delicious holiday turkey is fairly simple. 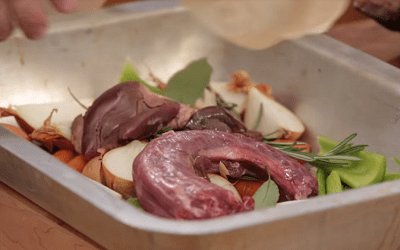 Jamie Oliver has broken down the whole process for you into five easy steps that guarantee delicious results and compliments from the entire family. If you’re not quite sure how to roast a turkey, start by removing it from the refrigerator two to three hours before you plan on cooking it. Regardless of whether you’re using homemade stuffing or a box of Stove Top, what really matters is how you stuff the turkey. Most people pack the inner cavity full through the large bottom hole, but this is wrong. The proper method for the best flavor and air flow while cooking is to stuff the turkey from the neck side leaving the main cavity hole open, then fold the skin over to close the neck. Placing a sliced clementine orange and some rosemary leaves in the main cavity will add even more flavor though. View Jamie Oliver’s complete homemade stuffing recipe. Our last step before we show you how long to roast a turkey ensures safe cooking and juicy results. 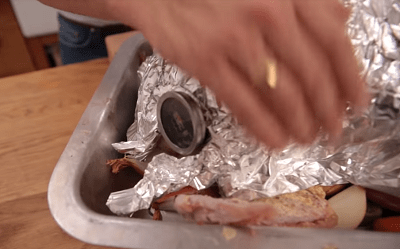 Place a meat thermometer all the way into the deepest part of the bird to ensure that it’s fully cooked, and then place foil all around the turkey. This will help retain moisture while roasting, just remember to leave the thermometer exposed for easy reading. The general consensus on what temperature to cook a turkey at is about 350°F. And if you need to know how long to roast a turkey, most people say 20 minutes-per-pound, but it may vary depending on the amount of stuffing inside the bird. About halfway through cooking, open the oven, remove the foil, and use a spoon to baste the turkey using the butter and fats from the bottom of the pan. This is one of the most important, and most overlooked steps when it comes to how to roast a turkey. We know your guests are hungry, but to ensure a crispy skin and juicy interior you’ll need to remove your turkey from the pan, tip it so the excess liquid pours out, then set it on a warm dish. 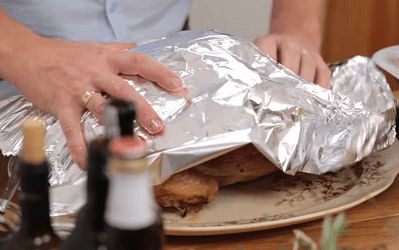 Cover the bird in foil again, and place a towel over the top of the foil. After two hours, your Thanksgiving turkey is ready to be served! Thanksgiving can provide more headaches than just cooking though. Make sure to clean your oven properly before the holiday, and call Greenville Appliance Repair for all of your kitchen appliance repair needs!